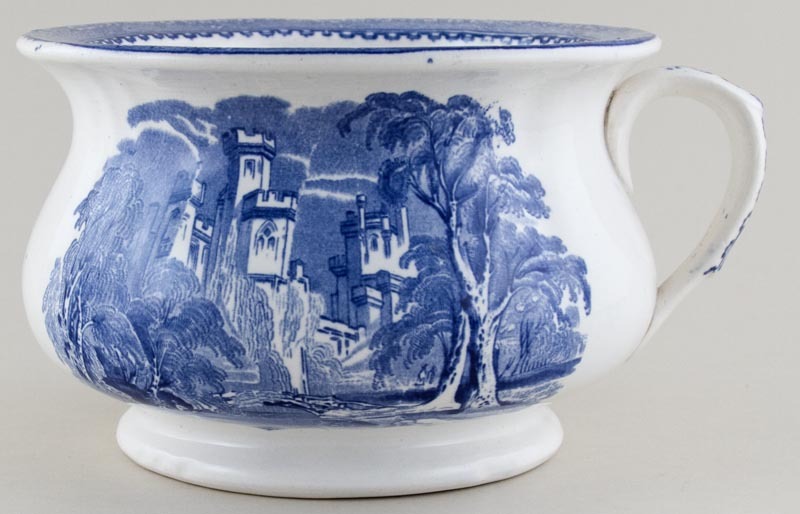 Very pretty grapevine border around the rim of this pot with priory scene either side of the body. No backstamp. There is a little surface scratching inside to the base, a small firing fault to the handle and a little blue smudging here and there. OVERSEAS SHIPPING OUTSIDE EUROPE Owing to the size of this item a supplement of � about US$54 will be added to the standard overseas shipping charge.